The attached was published on Thursday, July 30, 2015 in The News Reporter. 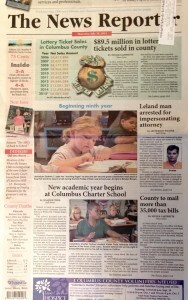 The News Reporter is published every Monday and Thursday since 1890 for the County of Columbus and her people. Read the front-page story HERE!